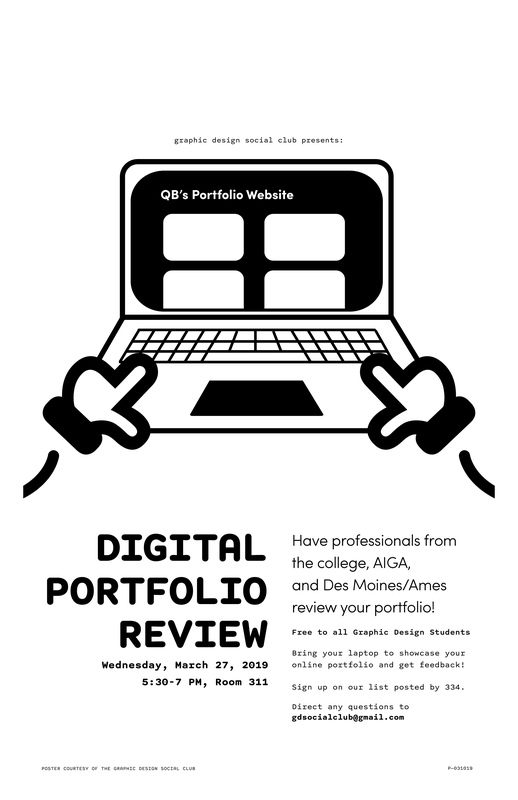 The Graphic Design Social Club is hosting a digital portfolio review free to all graphic design students. Bring your laptop to 311 Design to showcase your online portfolio and get feedback from College of Design faculty, AIGA board members and interactive/UX designers from Ames and Des Moines. Sign up in advance on the sheet posted outside 334 Design. Questions? Contact gdsocialclub@gmail.com.